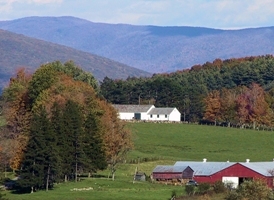 USDA initiative offers $5.9 million in financial assistance for Northeast forest land planning. On Tuesday, USDA's Natural Resources Conservation Service Chief Dave White announced that forest land owners in New England states and New York are eligible for $5.0 million in cost-share assistance for forest land planning and resource development under the New England-New York Forestry Initiative. Applications for current funding will be accepted through Jan. 31, 2011. "The main goal of this effort is to assist private landowners in improving forest health and productivity, wildlife habitat and water quality," White says. "Our goal is to help private landowners keep forests as forests." TAKE THE INITIATIVE! Forest initiative funding can help make woodlot and timber stands more productive. Photo courtesy of Massachusetts NRCS. For further questions and application forms, contact your local USDA Service Center. USDA Service Centers are listed online at offices.usda.gov, or in the telephone book under United States Government, Agriculture Department.